"Fearless and faithful" is not only the motto of Baden Württemberg but also this bathing shorts by Krüger Dirndl. 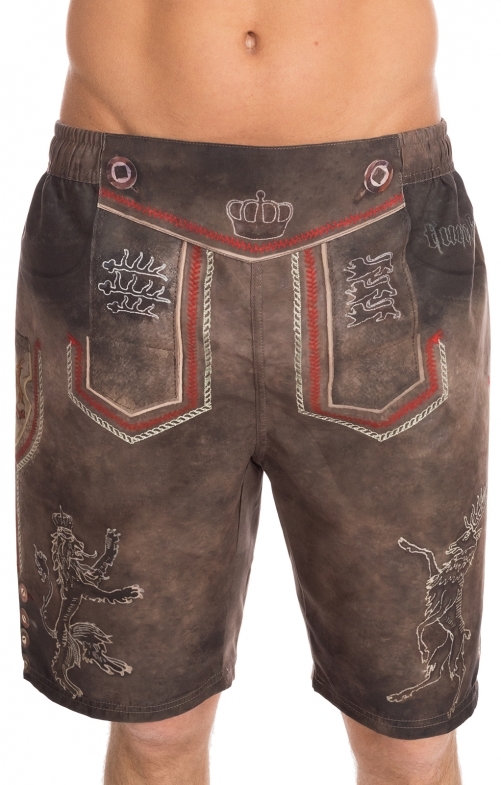 In Lederhosen, this short is super cool, because the print looks deceptively real. The inner trousers ensure that everything stays in its place. It was even thought of a small back pocket. The summer can come!